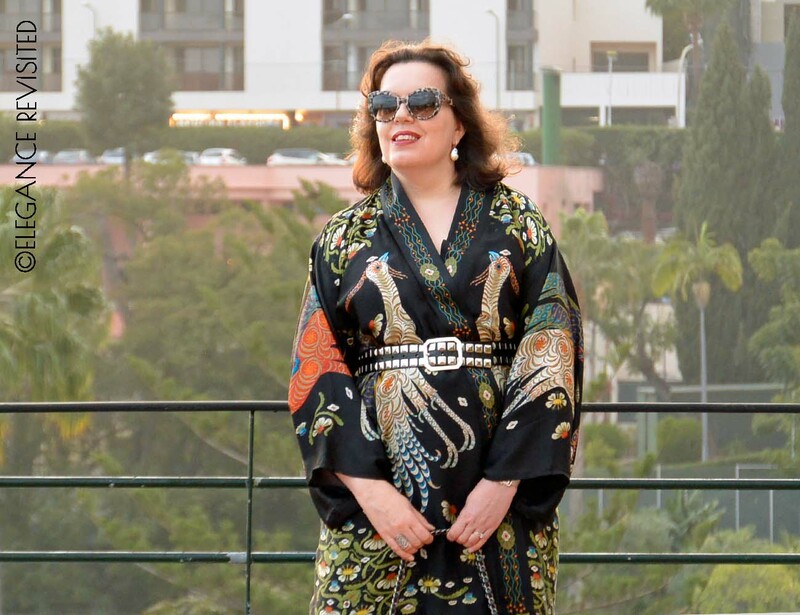 I packed this fabulous silk kimono for my holiday in Madeira as my go-to party outfit. For those special occasions, instead of a party dress. That’s the essence of Nordic style: back to basics, with a feel-good lux element thrown in. Sort of dressed-up minimalism, I suppose we could call it. Anyway, this outfit is quite minimalist: it’s just a pair of black wide-leg trousers worn under a kimono. As comfortable and simple as a pair of jeans and a t-shirt but a lot more glamorous. It’s the accessories that create the look: sophisticated, a bit edgy, yet still quite understated. The more feminine and delicate elements of the outfit – soft silk, the exotic pattern of the kimono and the pearl earrings – contrast with the metallic accents in the bag, shoes and belt. I like that: it makes this look just edgy enough for me to feel comfortable. Balance is important. You may remember that I have worn this kimono twice on the blog already: with jeans and with a denim skirt. And I know I will be wearing it in quite a few posts in the future, too. That’s because a statement piece like this one should become a wardrobe staple, something to be worn again and again. 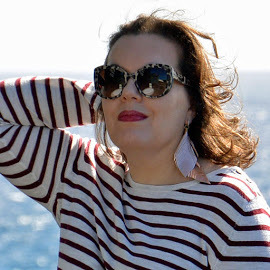 Besides, if there is a theme running through this blog, it’s buying less but buying better and rewearing old favourites till they fall apart. However, because I usually tend to dress down whatever I’m wearing, this time I wanted to do something different and take it up a notch. In a very understated way, of course. Did I nail the dressed-up minimalist look? You look particularly fabulous in your kimono! what a lovely piece!. And I think that your dressed-up minimalism is fantastic, comfortable, understated, elegant and luxurious. Love those accessories you’ve picked: the belt, earrings and bag match perfectly your style! Thank you so much! I like accessories, probably more than clothes. Good accessories can make an outfit, or change the style of an outfit, don’t you think? Thanks, Arlene. I often plan an outfit around the accessories I want to wear. 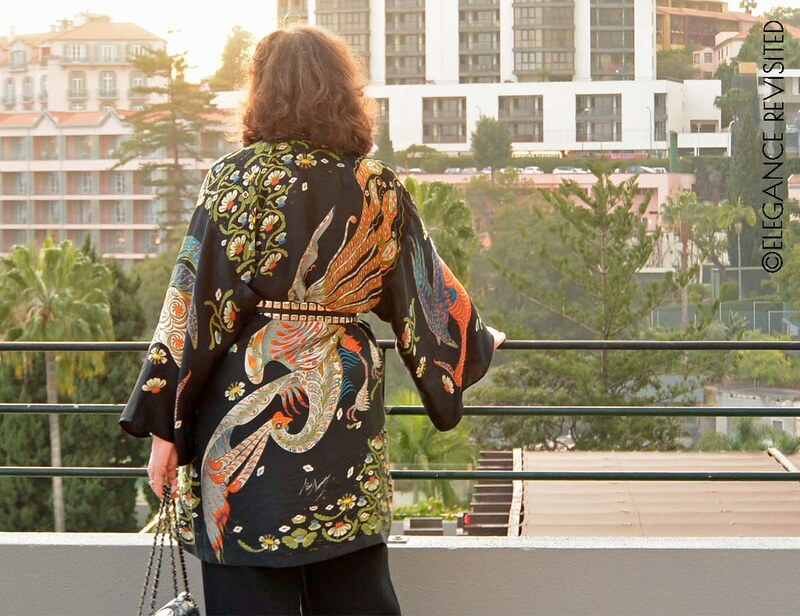 I even buy clothes to go with my favourite accessories, and this kimono is no exception. I remember this stunning kimono , I love the way you have taken it to the next level with your choice of accessories. I totally agree with the buy better , buy less approach . I feel it really is the on;y way unless you are a fan of thrift shopping and challenges us to re-invent what we already own instead of just buying something new. Thanks, Jill. Yes, I think fast fashion is over, and we have to find a more sustainable way of living and dressing. Shopping my own closet and buying less is my new mantra (thrift shopping is not really my thing). Your kimono is beautiful and you dress it up so well, I love the studded belt with it! Despite my large collection of kimonos I’ve only tried them belted a few times, I really need to change them up a bit when I wear them! Thank you! 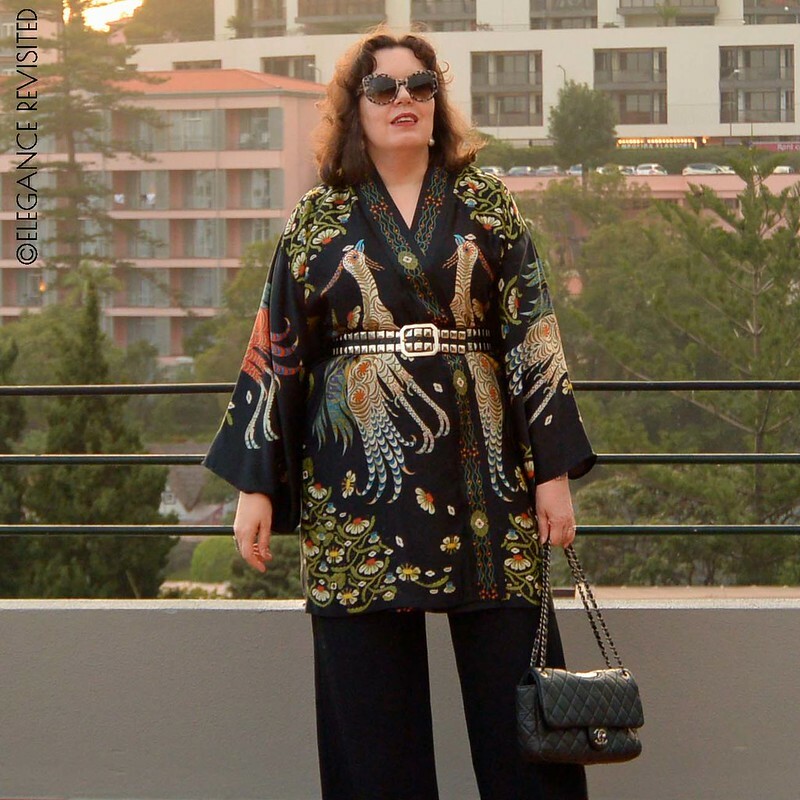 I’m a bit tired of the now-ubiquitous kimono-and-jeans combo, so I’m keen to explore other ways to wear a kimono. 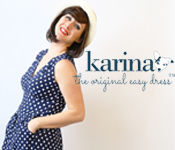 So excited to discover your blog. I’ve never commented on a blog post before, but this one is Finnspirational, so I’m compelled to. And I’m thrilled to finally identify Klaus Haapaniemi, thanks to you. I got a blue Taika mug in Copenhagen airport a few years ago and loved it so much that when it broke I kept the bits, then found a new one in Manchester Art gallery, and then my Sister in Law gave me a white one for Christmas (purchased in one of the few US stores that stock a small selection of Iittala ware) – but I still didn’t know who designed them. Now I’m greedily exploring the website, and can’t wait to visit a country with a store (I’m from Glasgow but live in San Francisco with my American husband and children). Thank you, Isabelle! ‘Finnspirational’, I’m honoured to have my little blog described like that. Klaus Haapaniemi has a shop in London, and of course a website (https://www.klaush.com), but you probably found that already. And both Iittala (www.iittala.com) and Finnish Design Shop (https://www.finnishdesignshop.com/Iittala-m-10.html) stock Taika and ship all over the world. Oh that’s such a beautiful kimono! 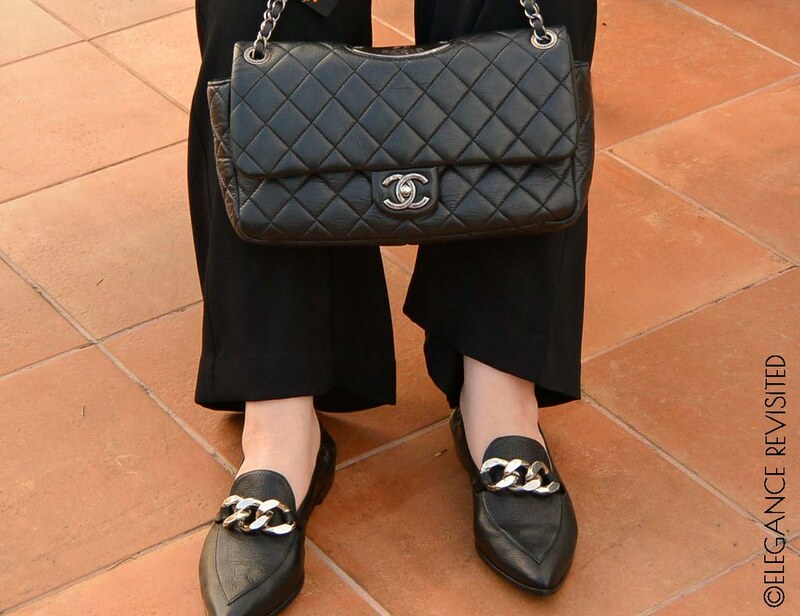 It looks so elegant with the black trousers and accessories. I had to google Klaus Haapaniemi…this could be an expensive discovery because I love it all! Thanks, Emma. Yes, Klaus Haapaniemi is a bit expensive, so it’s something special to be cherished for ever. 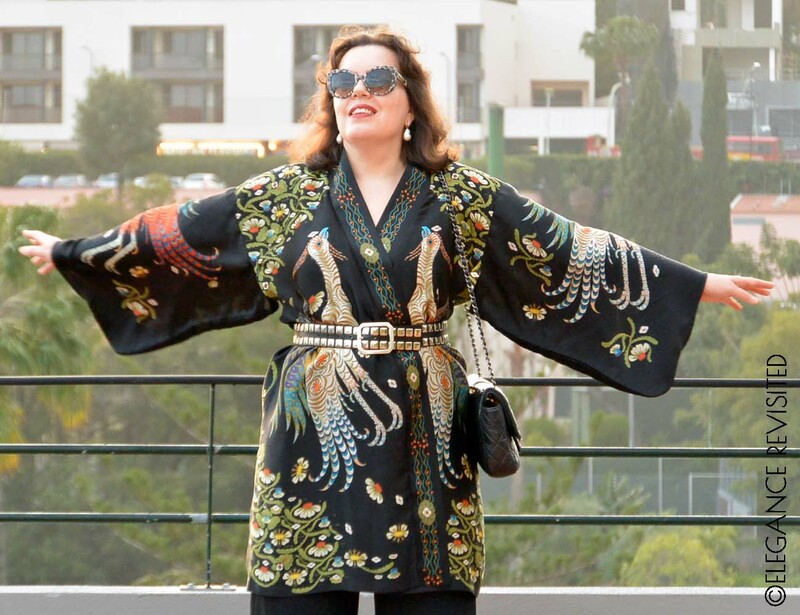 I got this kimono as a birthday present for myself last year, after I had been admiring it for weeks in the shop! I wanted to be sure I would love it enough to justify the expense. And I knew it would never be on sale, either. This outfit is sooo chic! Love every detail, Tiina! And I think dressed-up minimalism could describe a part of my style as well. I believe that that what makes your style more individualistic – a mix of two seemingly opposite approaches, a style oxymoron so to speak. Thanks, Natalia! A little bit of contrast is always good. You’re fabulously rocking it dear! Such a great styling!